Baby, it’s cold outside! Please be careful! 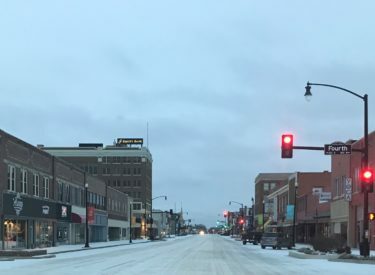 Roads in and around Ponca City are ice covered and slick, and the Ponca City Police Department urges drivers to use extreme caution when driving today. With school being canceled in many places, if you are able, stay home and enjoy the day with your children. Of course, depending on the weather predictions you look at, it looks like it will remain below freezing most, if not all, of today.